High stability, voltage protection, superior safety performance. Ideal for iPhones and most common Android mobile phone; Also compatible with iPads and other kinds of tablets. Built-in high-grade polymer battery, meet your daily needs. 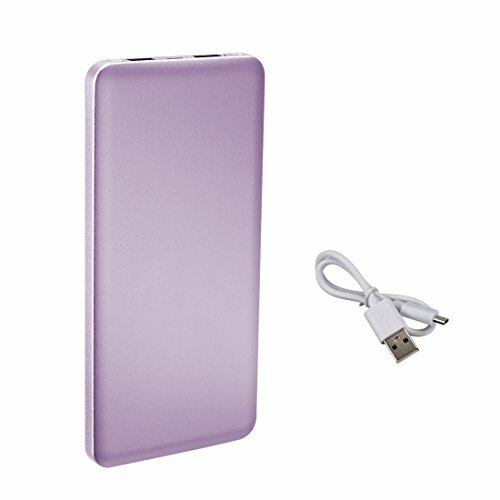 This mobile power bank is designed with intelligent control circuit, achieve multiple security protection, such as charging control, charging protection, discharge protection, overload protection and short circuit protection. Dual USB Ports: Charge two devices simultaneously.Dual USB DC 5V/1A or 5V/2.1A output charge for Mobile Phones,with a micro USB ports. Smart automatic identification, provides excellent charging service.